With over 17 years in the Flathead Valley, we are the most experienced window covering professionals. Serving Kalispell, Whitefish, Bigfork, Columbia Falls, Eureka, Polson, Ronan, Condon, and everywhere in between. We provide you with a fast, free on-site estimate and follow it up with free, professional installation when you purchase window coverings from us. Quality products from many manufacturers give our customers multiple choices at any price range. No budget is too small. 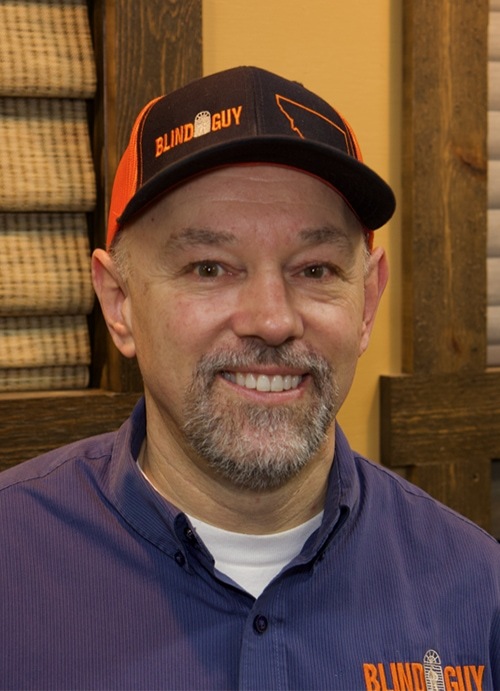 The Blind Guy will work directly with you or side-by-side with builders and designers to create exactly the look and feel our customers want. 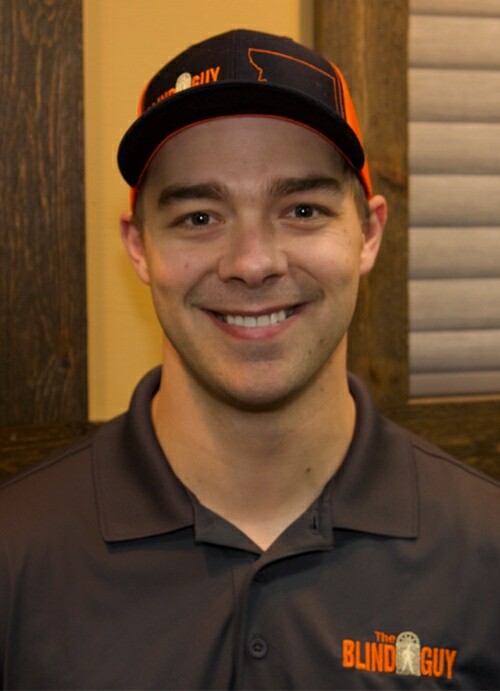 We provide personalized solutions for customers all over the Flathead Valley including; Ronan, Polson, Condon, Bigfork, Lakeside, Kalispell, Whitefish, Columbia Falls, Eureka, Libby, and everywhere in-between. Let us create a customized solution for you. Count on our knowledgeable staff to help you choose treatments, fabrics, and textures that will suit your style. Our install team is professionally trained and prepared to install all of the products we sell. From Hunter-Douglas Honeycomb Shades to Sunesta Retractable Awnings we will install our products correctly and quickly. Once our install team finishes, we are not done serving you. If any problems develop big or small we will work with the manufacturer and you to find a solution. Many of our products have lifetime warranties. We are always willing to come back, figure out, and fix any problems should they arise. The PowerView® system can be operated via the PowerView® App or two different types of Pebble® controls: a Pebble® Remote Control or a Pebble® Scene Controller. With a Sunesta Retractable Awning, you control the shade. 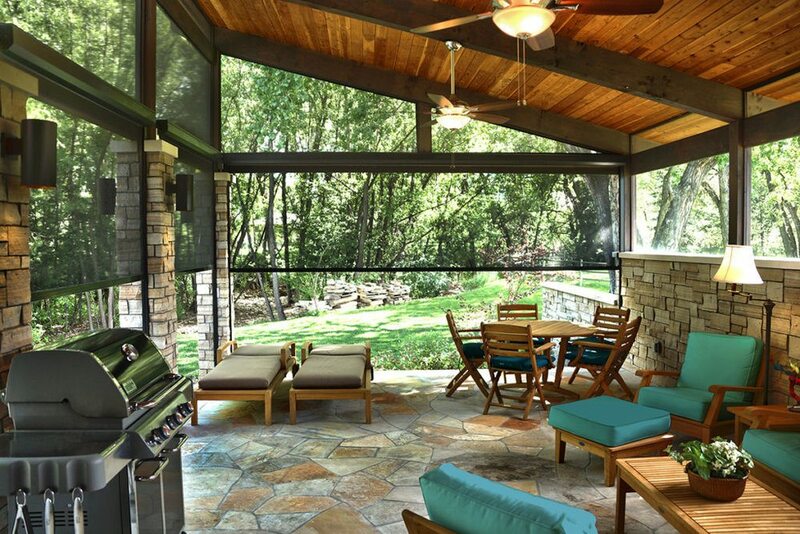 Enjoy your outdoor living area more than ever with the convenience of total shade control. Sunesta's strong, streamlined designs eliminate the need for support poles, our awnings block only the sun or light rain, and not your view. Maximize your usable shaded outdoor living space and your view. Your home is one-of-a-kind and your awning should be too. That’s why we offer total customization so that each Sunesta is made to the distinct needs and style of each homeowner. Without protection, you can’t fully enjoy your outdoor living area. A Sunesta Retractable Awning allows you to expand your home’s livable area, effectively adding a customized outdoor room. Since 1981, Sunesta has been making beautiful, custom retractable awnings, so you can be confident in the quality of their product. They also lead the industry in technical advances, so your awning will both look amazing and be innovative, as well. Choose from a variety of colors and patterns to create the outdoor space you’ve been dreaming of. Insolroll manufactures high quality window shade and patio shade systems for residential and commercial applications. Insolroll has been making patio shades since 1986. Since then, their patio and deck shade products have been branded under the Oasis® brand name and evolved into four different hardware systems to address a wide variety of applications. Either keep your view or enhance your privacy. Oasis® Patio Shades provide sun protection and & keep the bugs out! They are easy to use and can help make any outdoor space more comfortable. Plus, you can even have your patio shades motorized for added convenience, and they can be operated with a remote control. We know how difficult it can be to find patio shades that fit your outdoor space properly, so our Oasis® 2600 patio shades can be custom-sized up to 12 feet wide and the Oasis® 2800 can be up to 19 feet wide. With decades of industry experience and a dedication to creating superior products and providing exceptional customer service, Insolroll provides patio shades that are both beautiful and durable. Quality is assured because each shade is inspected carefully before being shipped out. Read Google reviews for our products and installation services. Whether you want blinds, shades, plantation shutters or motorization, we have you covered! We will call within 24 hours (usually sooner) to get you on the schedule.